1. Is Father LeBlond School a Christian or Missionary School? Ans : No. It’s a Secular, Co-Educational, Residential Public School. 2. Which Board is FLS affiliated to? 3. What is the entry level? 4. What is the age criterion at the entry level? 5. What is the admission procedure? 6. When does the Admission Process begin? Ans : Admission procedure begins with Registration in the month of November. 7. 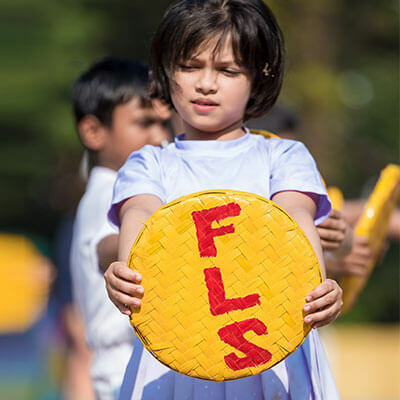 What are the food provisions on offer at FLS? Ans : Food provisions for both vegetarians and non-vegetarians are offered. 8. What is the Annual Fee payable for each child? 9. What is the Fee Payment Pattern? 10. What are the options available for 2nd Language? Ans : The school is located in Bhimbhar, Near Bidhannagar (on NH-31) about 24 kms away from Bagdogra Airport and 34 kms away from Siliguri, in West Bengal.